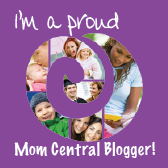 I am absolutely over-the-moon excited to announce that I will be a Step2 Test Drive Blogger again this year! (Woo-Hooo!) 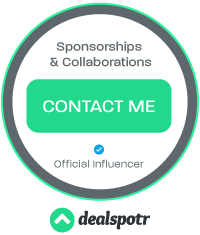 It's no secret that this is probably my favorite company of all time when it comes to kids' products, and to be honest, I am a bit of a Step2 addict! To kick things off in a big way, I want to share something very exciting that is going on right now. Step2 has launched their brand new Easy Turn Coupe! This adorable little car is beautifully gender neutral, and comes complete with all the bells and whistles. There are cup-holders for both Mom and child, a working horn and ignition key, a clear sun-roof that allows Mom to see her child at all times while pushing the Easy Turn Coupe, and even a trunk that has storage for that special toy. There is also a removable floor-panel that takes the Easy Turn Coupe from a cozy place to ride with feet protected while Mom or Dad is pushing, to a great way to work out all that energy by "driving" themselves, using good old fashioned "kid-power", just like Fred Flintstone did in Bedrock! Oops, I think I just gave away my age. The really cool thing that sets the Easy Turn Coupe apart from similar cars is that it includes a front caster-wheel for easy maneuverability. No more getting hung up on those sharp turns, because this car has very smooth motion! But the best thing about the Easy Turn Coupe? Well, by checking this car out, you can help kids with Congenital Heart Defects. (Commonly known as CHD.) This is an issue that I feel strongly about. A very good friend of mine, who I have known since middle school, was born with several forms of CHD and has endured multiple surgeries in her 30 years. These surgeries at the time (In the 1980's and 1990's) were not common in small children, and many of her procedures were experimental. It was a long, hard road for her, but she's been blessed with an amazing family and skilled cardiologists. Thankfully, her surgeries worked! I am thrilled to say, my good friend is now 30 years old. She is healthy, strong, and successful. She is engaged to be married to a wonderful, loving man, is studying full-time to become a therapist, and is a loyal and caring person all-around. She is proof that kids affected by complex CHD's can grow up to be productive, happy, and generally healthy adults. She really is an inspiration! Step2 has partnered with the Saving tiny hearts Society, a wonderful foundation that is devoted to helping kids affected by CHD. Here is more info about their I <3 Easy Turn Coupe campaign! The Step2 Company, LLC focuses its charitable efforts on programs designed to enhance the health and education of children while enriching their lives and their family experience. It is that mission that has made The Saving tiny hearts Society (StHS), an organization that funds life-saving grass roots research of congenital heart defects (CHD’s), a non-profit that Step2 has supported for many years. Several years ago, Step2 learned that CHD's are America’s #1 birth defect affecting over 40,000 babies every year. With that type of statistic, it should have come as no surprise when one of Step2’s own, Tena Crock, was impacted by a CHD. At her 20 week ultrasound appointment, Crock believed that the biggest news she would receive that day was the gender of the little miracle growing in her tummy. Instead, she learned that her son had a complex CHD, double inlet left ventricle (single ventricle) among other issues. Because of the established relationship, Crock was able to reach out to the founders of StHS who offered her support and information while educating her about their important research efforts. Crock’s son underwent three heart surgeries and one heart catheterization in the first 7 months of life. He will have one more surgery before he is school aged, but for now, he is a happy and healthy toddler, enjoying the toys that Mommy brings him home from work. 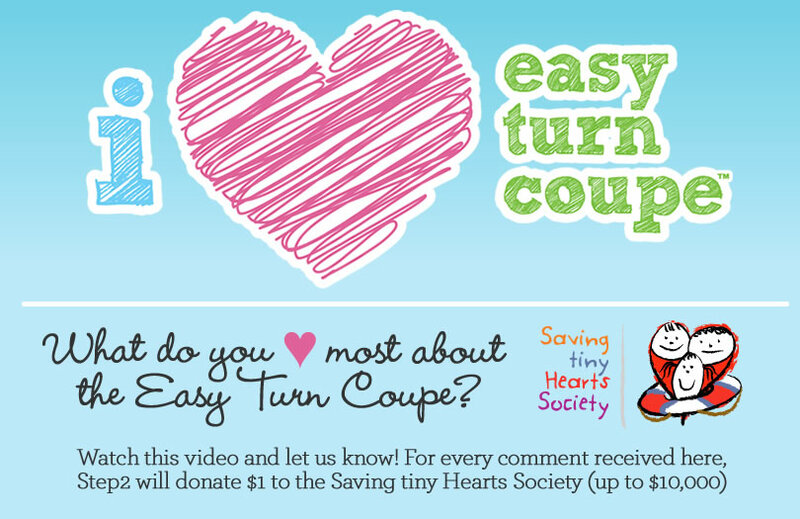 Step2 would like to continue its support of the StHS with our “I ♥ Easy Turn Coupe” campaign. We will be donating Coupes to various children’s hospitals and will be inviting folks to watch a quick video on the Easy Turn Coupe and tell us what feature they ♥ most about it. For every comment received on the Easy Turn Coupe Facebook tab, Step2 will make a $1 donation to StHS. Do you want to help? It's easy! All you need to do is watch a very brief and incredibly adorable video showcasing the Step2 Easy Turn Coupe. Then just leave a comment on the video. For each comment received, the generous folks at Step2 will donate $1.00 to the StHS to benefit children suffering from CHD. You can find this video on the Step2 Facebook Page, or simply click the photo below to be taken directly to the video. Be sure to share with your family and friends! Every comment makes a huge difference in the lives of these brave and beautiful children! Win A Step2 Easy Turn Coupe! Who wants an Easy Turn Coupe of their own?! Well I have one with someone's name on it, courtesy of the awesome folks at Step2! How cool is that?! -One caption per person, per day. This giveaway is open to US residents 18+ until 11:59PM March 31, 2013. No PO Boxes. Winners will be drawn using Rafflecopter's Random Number Generator. All entries will be verified, so play fair! I will notify winner via e-mail and they will have 48 hours to reply before I am forced to redraw winners. No purchase necessary. Void where prohibited. This contest is not affiliated with Facebook in any way. Thanks for entering, and Good Luck! "You've been drinkin' juice all afternoon! Hand over the keys buddy!" Like going for a drive and sitting by the water. Bring snacks or go through the drive through. Bowling or playing pool is fun too. As for the caption: "I think we need a bigger car". I told you we should of splurged on the snow tires! Best date night idea: IKEA...we go out walk around and grab a bite to eat...more casual date. I would say, don't be tired, go for dinner, and smile, have fun no worries about home or friends. Dinner and renting a movie is fine by me. We're pretty low key as we prefer to relax at home. Did you see how much snow is out here? You do not need to be driving in this weather! "If you really loved me, you would let me drive!" Give you a kiss for a ride, okay? "Scoot over Xander we have lives to save!" Love you thank you for all your kind words about little ole me ... I'm reposting and spreading the word ... keep those comments coming people ... we've got lives to save!!!! It's MY turn buddy! Move over! "It's my turn, now move it"!
" you gotta love snow"
Missed me, missed me, now you gotta kiss me! I'm the big sister, so I get to drive. Get out of my car!!! Stop right there and give me a little kiss! Honey are you all set for your first ride. I told you we should have shoveled the drive way first! Will you let me have a turn for a kiss? Have a good day at work honey! "Drive safe and don't work too hard!" I bought you this car.. the least you can do is give me a smooch! I think we should have put on the tire chains! I love you but you still can't drive the car! Will trade rides for kisses! Be very careful driving - it's nasty out there ! Sweet Eskimo kisses in the snow. Goodbye sis, I have a lot of driving to do! Mwah! Love in a car built for 1. The hot chocolate is ready. Just a little kiss for the road! I'll make you a snow angel if you let me have a turn. Look Either I drive or Dad drives, and no one wants that! This car ain't big enough for the both of us! Driving along in my automobile, My baby beside me at the wheel! You traded in our family car for this? meeting at the porch kiss and ride! Get out and start pushin'! "You fool! You forgot to put on the snow tires!" I told you a CAR NEEDS WINDOWS!! "What do you mean, girls don't know how to drive!" Do you see my new car?! "If you don't get out of this car by the time I count to 3..."
just ducking in out of the cold! If you'll share, I'll give you a kiss! get out of my car mister!!! Well, come on in and take a ride with me! No winter blues for us! It's cold out here... Can I come in, too?! "I told you we should have asked for directions"
"Alright, one more time around the yard, and then it's mine!" I'm bigger so I get to drive! I'm sinking in the snow... Let me in! Get in! I'll turn on the heated seats. Hand over the keys to my ride! Out of my way boy! So this is your new ride? It's awwwsome! Kisses for a ride! Any takers?! Have a great day at work! Drive safe! Just a little push, please? It's cold out here, now let me fix your coat! You're late! I told you to pick me up 30 minutes ago. Come on, let's go! Drive safe! The roads are icy. I can't believe you got us stuck in the snow! Thanks for the ride baby! Should have shoveled the driveway! Did you just honk your horn at me?! sweet talk ain't getting me out. What did you say about women drivers? It's cold! Turn up the heat! We should have gotten the station wagon. My feet are freezing! Let me in! You look so cute driving your new car I could just kiss you! Cool ride! Can I take a turn? Leaving for daycare, take care of mom! Hey let me in.. it's snowing outside! "Have a great day MUAH! Are you stuck? Need a push? Move over, I'm getting in! I'm telling mom if you don't let me drive! "You get great gas mileage...very attractive quality!" Livin' the Good Life in our New Coupe! Dahling, do be careful on the roads! Here, let me save you! Let's go for a walk, instead! I'm crazy about your cup holders! I'm cold, warm me up! I need to go to the store. I am so glad we are sharing good times together, may they last a lifetime. We're helping our planet one green vehicle at a time. Hey, did you have garlic for lunch again? "Give me the car or I am going to have to kiss you"
Turn up the heat, it's cold! Are you seeing this mom? This car is awesome! Get in the backseat baby! I told you that you were gonna get stuck says the girl. Mommy said to put your hat on! I love your new car, baby brother! Look here buddy, it's my turn! The girls and the earth love that I'm eco friendly! I told you before kid.... this is a no parking zone. Come on it, it's warmer in here! Hey, mom said I got it in 5 minutes! It's too cold to argue over the car. Just give me a kiss and we can make up! You need some snow tires, Honey! I think you should not be driving in this weather! Listen, I already gave you a turn, now it's my turn! The snow is getting deep, we need to get out! Someone call a tow truck! Look at our gorgeous view! Help, my feet are getting stuck and I can't move! Pucker up.... Your getting a kiss whether you want one or not!! Let's go it's cold . enough with the kisses. I hope we catch all the green lights in our green coupe! Thanks for the birthday gift, it was perfect! You forgot to kiss me goodbye! "I told you to drive careful" "You almost runned me over"
A push for a kiss? Let's take this coupe for a spin! I love this idea! It's not only a great giveaway for mom's and their children but you're thinking of others as well by helping donate to those suffering from CHD. I myself own a company and have kids and I am always looking for new ways to give back to our kids and those in need. This inspired me to do another giveaway where it also includes donating to one of the organizations we are involved in. Mom! Get her away from me! Smilin' and ridin' in my new green coupe! Are you licensed to drive this? Sibling love on this beautiful day! This car is a total chick magnent! Check out the snowflakes on the sunroof! Soon we'll have the wind blowing in our hair like we just don't care! Step away from the car and no one gets hurt! here let me help you zip your hood, it's cold. Drive save in the snow. My coupe is fast, watch me go on past! Dont forget your diaper bag! Oh good, you brushed your teeth. Now let's Eskimo kiss so our lips don't get stuck. Hand over the keys buddy! Driving has never felt this good! Thank you for wiping the snow off! Do you think I could take a turn now? Did you see me pedal like Fred Flinstone? It isn't perfect coupe weather outside but who cares? First date in my new coupe! Gotta love what this coupe can do!! Let's go rockin' and a rollin' in our new coupe! Dont look now, but I think someone is watching. We love driving our green machine! You didn't bring the tow chain?! A Kiss for the Keys! I think maybe you can out of gas! There's just "Snow " thing like love! Pedal to the floor, watch me do some more! What was the speed limit again? Behind every Sweet Boy is a Beautiful Car!! You drive me CrAzy baby! Cruisin' fast and having a blast! Where are you going without me!! We can drive faster than a flast! Hope we don't crash! OK, now here's the deal. You distract mom with a potty break and I'll take our little Deuce Coupe to the store for some CANDY. Shhhh...now ready...Set... GO! Just ONE last kiss before you head out...those deck steps can be tricky, good thing we have a few feet of snow to soften the blow! We gotta keep up the pace so we can win the race! You Better Come Straight Home or Else!!! STOP it already, You're steaming up the windows! Let's gain lots of speed and take the lead! Watch out that a slippery road. No I am driving this time! I saw this in a cartoon once, it's so cold our lips might freeze together! Let's go cruising with the windows down, riding all around the town! Come on !! Give me a Kiss!! Hey buddy, so sweet of you to warm up the car for a lady! *no windows...heheheee. Did you see me move? I was in the groove! Good bye sweetheart! Hurry home from work! Drive safe! Entered Surviving Infancy DVD giveaway. Feet down, ready to go around the town! So if I close my eyes and kiss you , them click my boot heels together 3 times, MAYBE when I open my eyes this SNOW will disappear and it will be SPRING/SUMMER. There'snowthing like summer fun with Step 2! You know there is room for two! Poor sweetie, I'm gonna warm up those cold cheeks for you! I'm going far in my green car! Mom said that it is time to get out of the snow. At least there won't be any bugs out to get in your teeth this morning, Dear. Going for a test drive! I told you that I wanted to drive, now move over! Maybe if we cuddle and kiss, we can finally melt off this snow! Rollin'.... Rollin'.... Rollin' in my green car! I’ll trade you a ride for a cookie? Mommy said to take turns! Check out my new green machine! love you & drive carefully! Please, please let me drive! Hop in, sit down , hold on and get ready for the RIDE of your life sister! My car is green like a clover... I hope I don't flip over! No Mom says I can drive this time! You know I can beat you up! Step out of the coupe & no one gets hurt. Come on! Lets go make a Snowman! "I told you it is mine, all mine!" Freeeezin' for a Reason! To just have FUN! I'll race you to the finish line! Whatcha talking about? I'm driving. She's my little Deuce Coupe! It's OK Sweetie, I know, Spring WILL come soon. Let me kiss those tears away buddy. Let's go cruising down the street, looking for new people to meet! You think you're big don't you! Who knocked over my snowman? If you don't let me drive, I'm going to give you a kiss! It is so great to be out of school, snow days rock! Quick, the Easter Bunny is watching us...let's show some love! Let's go driving with lots of speed... it's exactly what we need! Its My turn now! Give me the Keys! Next stop... Toys R Us! You better share..or I'll tell mom! It's my turn. Where are the keys? Let me help you Button your coat!! Hold still buddy, you have a snowflake on your eyelashes. Make a wish and I'll blow it away! Which way is the Easter Egg Hunt?? stay warm, it is cold out there! You are stuck in the snow! I will shovel you out! Butterfly kisses for my little buddy! Look out... Student/Toddler Driver on board! Let me in. It's cold out here! Lets go for a ride in my cozy coupe! I told you it's my turn or else. How Much Juice did you drink?? I'm driving, I'm the oldest. I said I was driving! You drive me so crazy but OH, do I still love you! Watch out, there's a toddler on the road! Snow and cold doesn't touch the power of the Love Bug. What you forget the milk. I don't allow no girl drivers in my car. Move over, this is a job for SuperStep2 Girl! I'm stylin', are you buyin'? "I Told you you should of picked the car with 4 wheel drive, now you owe me a kiss!" I want to ride too! dont forget the hot chocolate! Rain, sleet, or snow, we can drive through it all! This weather will NOT stop our next adventure. Let's go! You just ran over my foot!! You forgot to give me a goodbye kiss before you leave for work. OK, buddy, you stay right here. I'll be back with some hot cocoa for our cup holder! Does this have 4 wheel drive for the snow? Get Out and Help Me Shovel!! But honey I wasnt driving . Yes! I will elope with you! make sure you keep your jacket buttoned up! LET'S GO !!! I HAVE THINGS TO DO AND PEOPLE TO SEE!! Just give me a ride already! There is not enough room for the both of us! It's snowing, you're glowing, our Step 2 Coupe is roaring. The engine's quiet, takes no gas...we play without mom KNOWING! You heard me call shotgun! Fe, Fi, Fo, Fum, look out here I come! Please! I promise to give you all my toys for this car! I told you driving in this weather was a bad idea. You got to drive here, I want to drive back! There is room enough for both of us now move over! It's cold. Let's huddle together. You get out and push. I'll drive. Smooching in the car is the best!